What is the purpose of the Yellow Lightweight Polyurethane Bollard? This lightweight bollard is a great option if you seek an item that is bright, sturdy, well-crafted, and reliable. 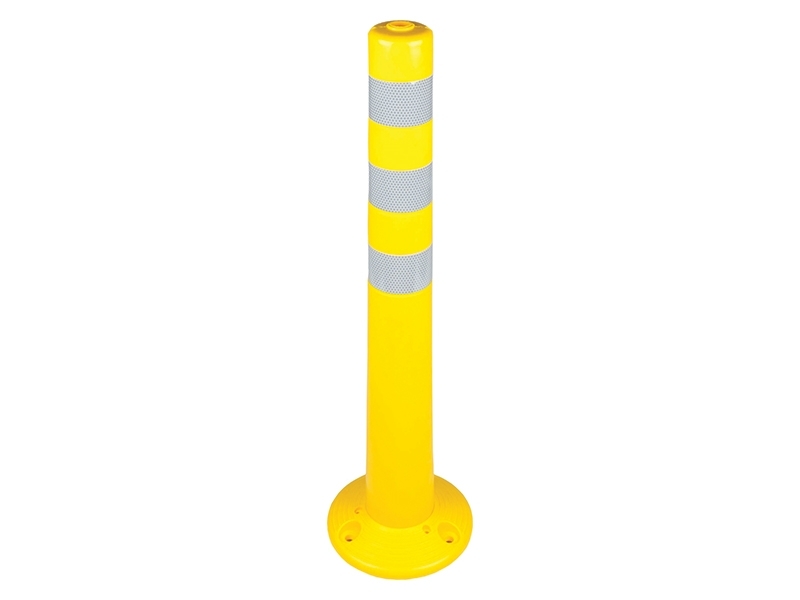 This bollard is made from thermoplastic polyurethane, bright yellow in colour and has three reflective strips for extra visibility. Where can this protective bollard be used? 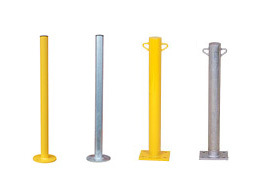 The bollard is a fixed parking post great for use in warehousing environments and it is sturdy enough that you can use it both indoors and outdoors. It is also a perfect choice for parking garages, car parks, and any other area where you need to keep vehicles out of a certain area or away from a wall or other hazard. Multiples of this parking post can be used effectively as driveway security posts or car park bollards. Who might use this parking post? This product is perfect for anyone who needs a great way to create a trusted high visibility barrier to keep out vehicles. It gives you the safety and stability you need at an affordable price. The lively yellow bollard with three reflective strips is hard to miss during daylight hours but is also useful after dark. This product is constructed from tough thermoplastic polyurethane. It is precisely 750mm high, 411mm diameter and stands on a 200mm diameter base. On top of our already low prices, we offer free shipping for this item to help you save even more.